At first the vibrations in the water are faint. Small ripples break through the surface of the stream as they push out from the base of an old stone building. But the current soon becomes a rapid swirl as more than 8,000 gallons flow into the creek with each passing minute. The disturbance outside is matched by a show of force inside. With the turn of a wheel, a 1,000-pound stone begins to rotate. It sounds like railroad cars clattering to life, picking up speed until the individual clicks blend into a continuous rhythm. Nearly every weekend Ed Krugmire drives three hours from Afton, Minnesota, to carry on a legacy passed down through four generations of his family. 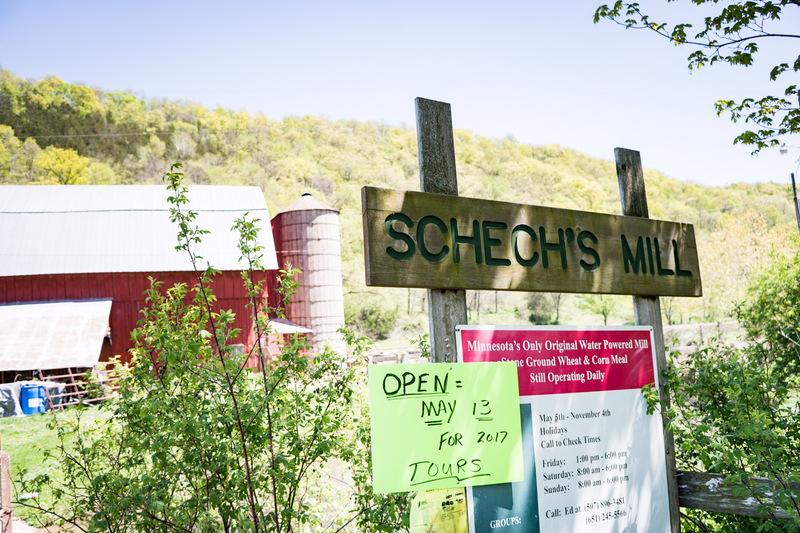 Schech’s Mill sits at the end of a single lane dirt road in between a smattering of southern Minnesota towns whose populations don’t number more than 3,000. 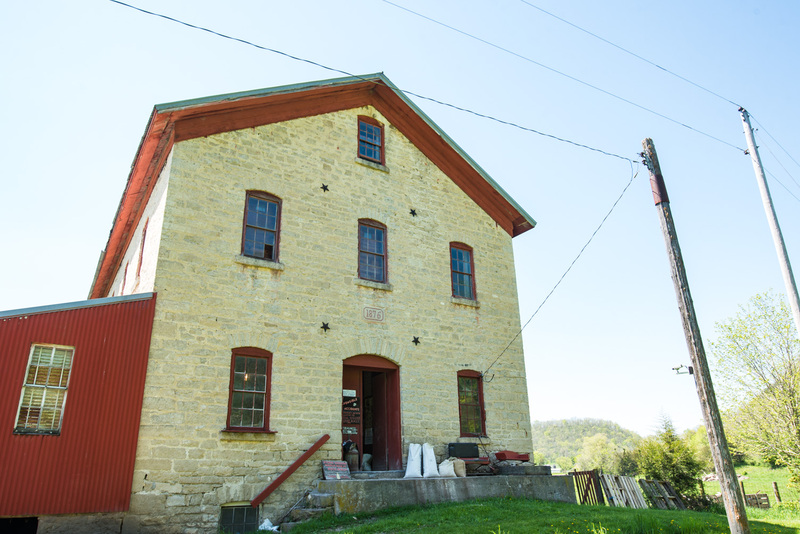 Ed’s great-grandfather first bought the mill in 1887, and the family has kept the historic site running ever since. Today, the antiquity is the oldest water-powered mill in Minnesota still operating with its original equipment. The three-story building is a portal back to a time when phones attached to strings, kerosene lamps burned bright, and electricity was a luxury most couldn’t afford. Yet while modern advances swept through the towns surrounding the mill, inside little has changed. As its caretaker, Ed spends hours preserving the small slice of history to prevent it from turning into another abandoned building taking up space in the countryside. Schech’s Mill almost looks magical when you step through the doors. 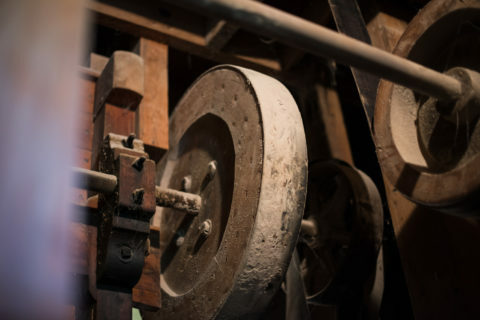 A white dusting of powder settles over everything in the room: the thick oak and pine beams, the centuries-old equipment and the wooden floors. From his hat to his pants, Ed wears a strict uniform of light gray, beige, and white. Black isn’t a color that stays clean for long when you’re working in a flour mill. Even the 64-year-old’s beard, flecked with gray, falls in line with the rest of his getup. From the slippery floors to the haze that hangs in the air, flour is everywhere. When you breathe in, the pulverized wheat escapes into your nose and settles in your lungs. The building is a labyrinth of chutes, bins, pulleys, and gears. As the sole operator, Ed has run the mechanical marvel by himself for more than a decade. 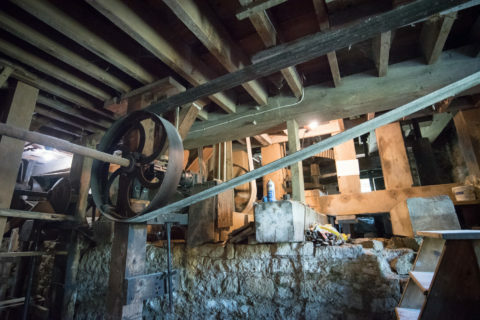 The mill’s showpieces are its four large millstones, made of French quartz, and three original turbines buried in a concrete vault beneath a hatch in the basement floor. Each piece, except for the third turbine installed in 1924, dates back to building’s inception in 1876. To make flour, Ed starts by dumping a hard winter wheat into a grain hopper, which feeds the kernels down in between two slabs of stone. As the tan-colored behemoths spin against one another, the grain travels through the crevice between the top and bottom stones. As the wheat makes its way through the rough surface to the outer edge, it’s ground into a fine powder. Ed relies on Beaver Creek to power the millstones. 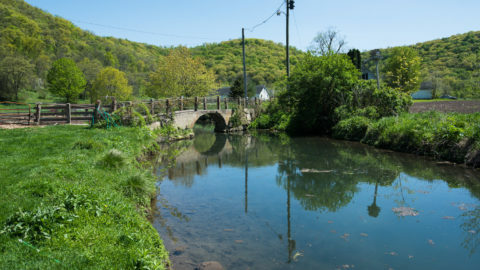 Thanks to a manmade stream called a millrace, dug out by a horse and scoop when the site was first built, water flows under the building and through one of three turbines. When those machines start to spin, they can generate anywhere from 15 to 40 horsepower—enough to get a stationary stone moving instantly. Compared to the amount of power and money it would take to accomplish the same feat with an electric motor, water power is cheap. Plus, the turbines lie deep enough below the surface of the stream that they never freeze, making them well-suited to withstand Minnesota’s bitter winters. The 64-year-old maneuvers through the flour-making process by sound and sight. He can hear when a belt slips or when a machine plugs up. Unlike the technology installed in modern day mills, there’s no beeper to alert him if a grain roller stops turning. He simply has to listen for a problem, and then find it quickly. Maintaining the historic site is by far Ed’s biggest challenge. He repairs the antique equipment piece by piece, and hopes to get a third millstone and the industrial sifters on the second floor running again soon. 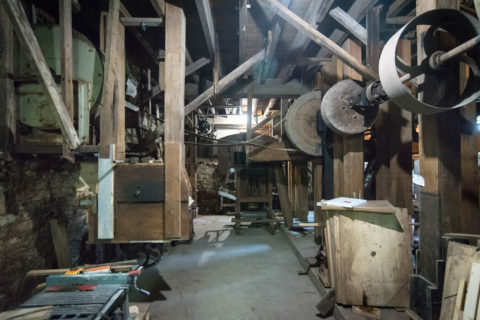 There’s likely not another person in the state who could walk into the mill and navigate the idiosyncrasies of the 19th-century equipment with the deftness that Ed can. The 64-year-old is the last descendant in a long line of millers that first began with his great-grandfather, MJ Schech. MJ emigrated from Germany in his mid-20s and moved to the Twin Cities to work as the head miller for The St. Paul Roller Mill Co., a large-scale flour mill in the Midwest at the time. When the Caledonia mill came up for sale, MJ jumped at the chance to buy it for $3,000. At the time, what set Schech’s Mill apart was the breadth of products it ground. 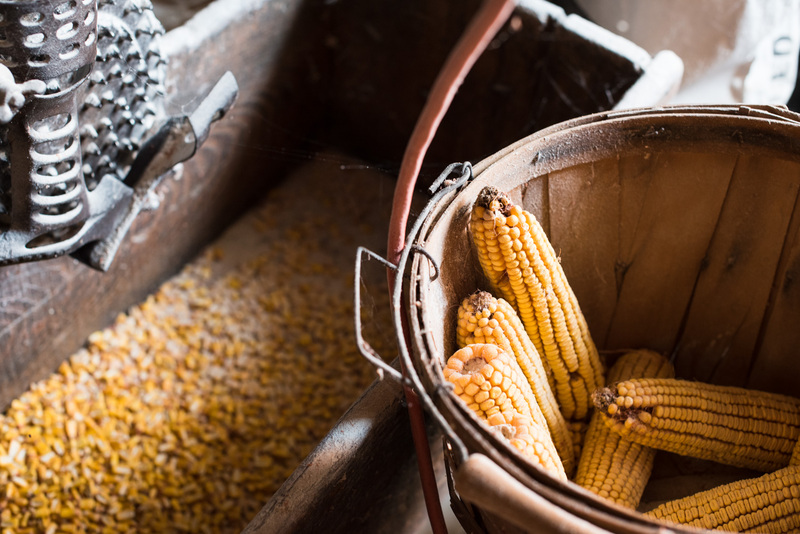 While most small mills couldn’t crank out more than flour and cornmeal, Schech’s Mill also produced graham flour, buckwheat flour, whole wheat flour, and whole wheat cereal, a recipe Ed’s great-grandfather came up with while working at the St. Paul mill. In 1914, Ed’s grandfather took over the mill, followed by his parents in the mid-1940s. At age six, Ed’s dad put him in charge of wheeling around sacks of grain that neighborhood families brought to the mill by horse and wagon. During that time the mill stopped producing flour products and switched to grinding oats and corn for animal feed. It wasn’t until the 1970s, when Ed’s dad started giving tours of the mill, that he returned to making small amounts of flour and cornmeal for tourists to take home. After college, Ed took on more responsibility in the family business in between full-time gigs as an industrial arts teacher and contractor. Alongside his dad he learned how to repair the mill’s unique machinery and sift flour by hand. 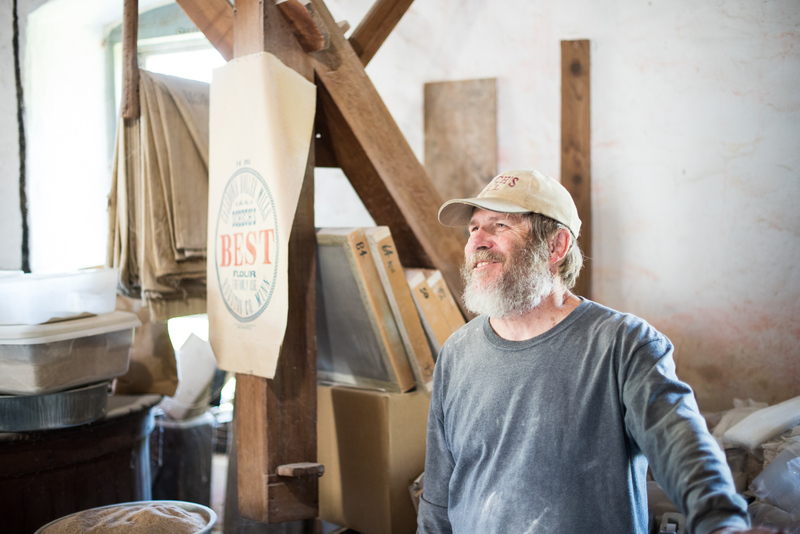 In the age of mechanized mills, Ed still finds value in producing small-batch flour and cornmeal like the three generations of his family before him. 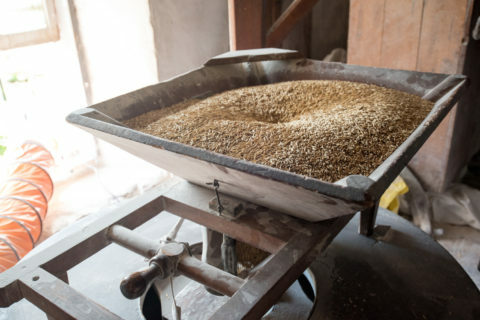 The old-fashioned method ensures the grain doesn’t lose nutrients during the grinding process. 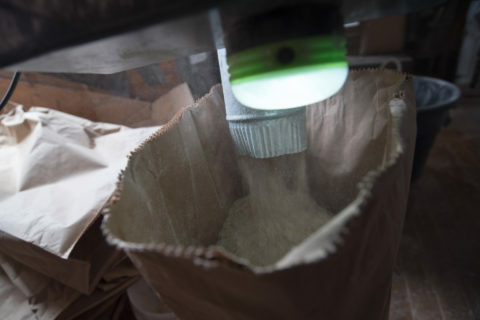 When flour is stone-ground, it stays cooler throughout the process than when it’s roller-milled at larger, industrial companies. The high heat and high speed of the rollers tends to destroy the vitamins in the grain, meaning producers must try to add them back in later. 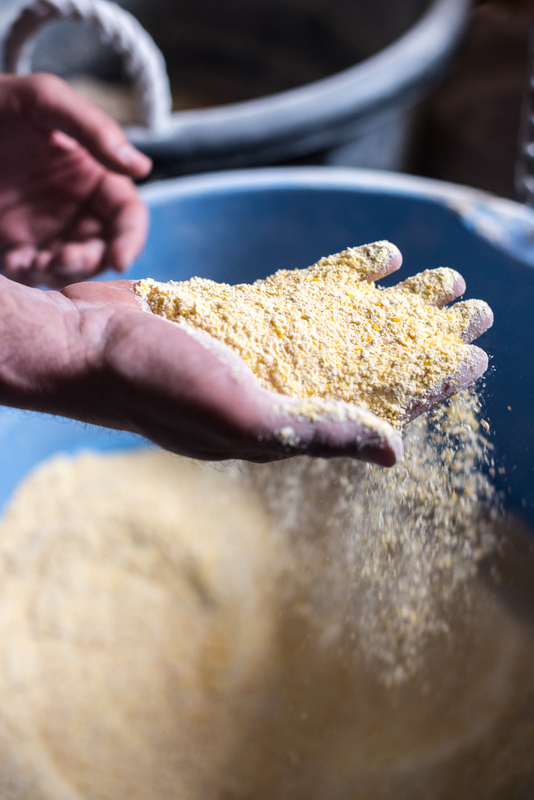 Ed grows his own corn for the mill’s most popular product, cornmeal, and sources the rest of his grains from a farmer down the road. As design trends continue to lean toward restoration, Ed finds more and more people who appreciate relics from a bygone era. 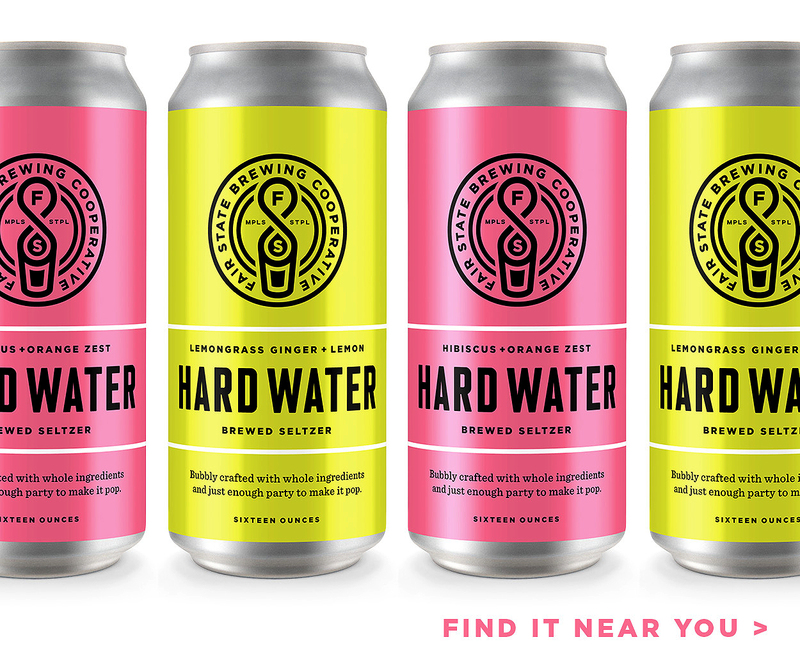 In 2016, Ed secured the mill’s first new customer in years, a distillery based out of nearby Spring Grove, Minnesota, which opened its cocktail room and released its first spirits in June 2017. RockFilter Distillery’s founder, Christian Myrah, shares Ed’s penchant for crafting things by hand. Christian, a fourth-generation Norwegian farmer, experiments with heirloom and lesser-known grains to distill organic rye whiskey and bourbon. Christian grows the grains, his dad cleans them, and then Ed mills them using hydropower. In the coming years Ed hopes to find more people like Christian who want to take part in keeping more than a century of history alive. Unlike electricity, water power wasn’t designed for speed, but longevity. Like the turbines that power the building’s French quartz stones, Ed is out to prove the mill is here for the long haul, too.